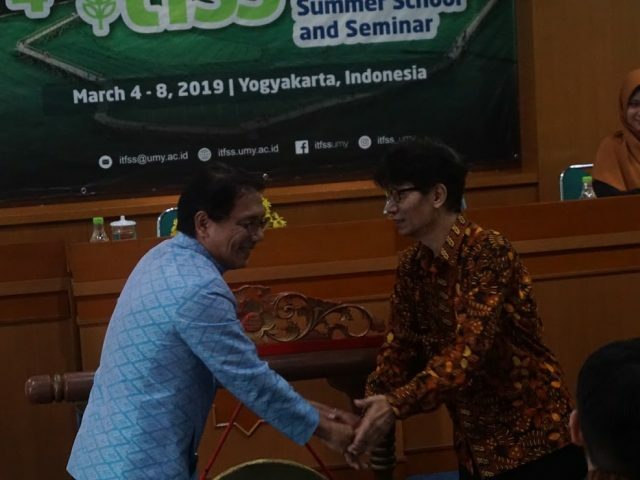 Faculty of Agriculture Universitas Muhammadiyah Yogyakarta (UMY) held the 4th International Tropical Farming Summer School (ITFSS) 2019 opening ceremony at the Amphitheatre Pasca Sarjana UMY on Monday (4/3). ITFSS held four-day program started from 4-8 March 2019. ITFSS invited Ambassador of Thailand to Indonesia H.E. Songphol Sukchan to give a welcoming speech at the opening ceremony. Prof. Dr. Achmad Nurmandi, M.Sc, Vice Rector for Cooperation and International Affairs, and Ir. 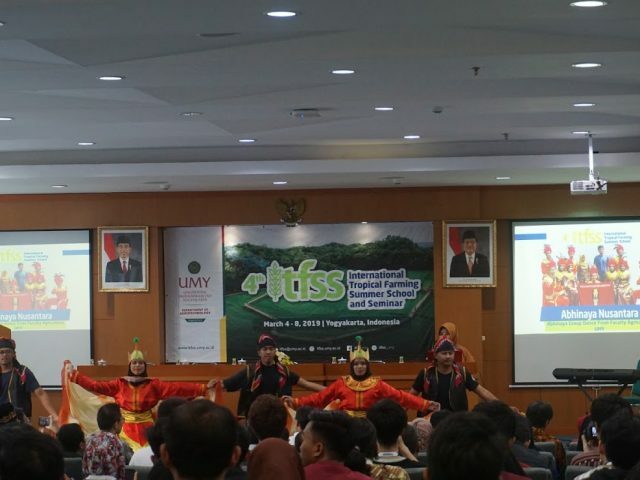 Indira Prabasari, M.P., Ph.D., Dean of Faculty of Agriculture UMY also give a welcoming speech for all the ITFSS’s participants coming from various universities and countries. 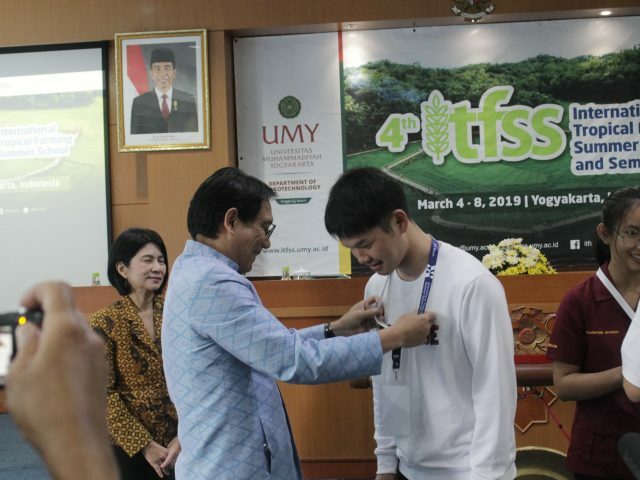 ITFSS has seven course topics including farming in tropical area, land use for tropical farming at mount Merapi, tropical cropping system, land use for tropical farming at coastal area, tropical AeroSystems, integrated farming system and presentation to agrotechnology student, and bioenergy theoretical perspective.